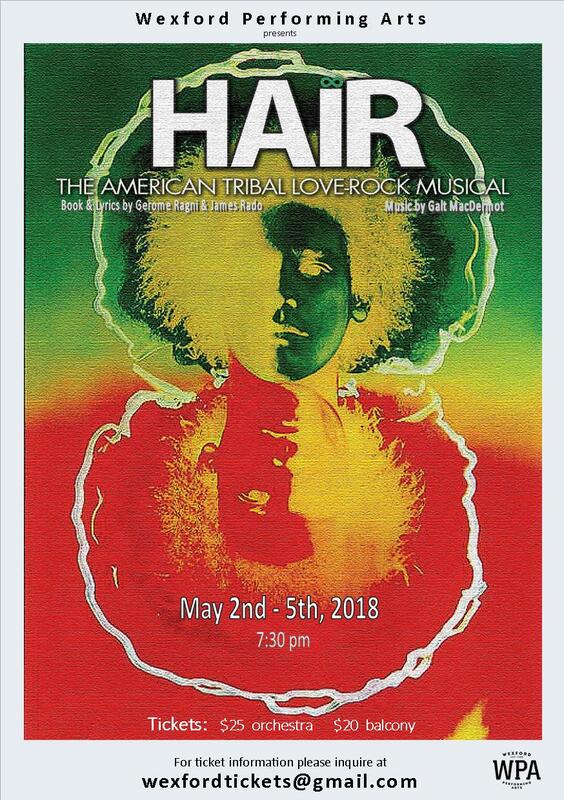 Performances begin May 2, 2018; last show is May 5, 2018. Tickets on sale this Thursday April 12th. For ticket information please inquire at wexfordtickets@gmail.com.